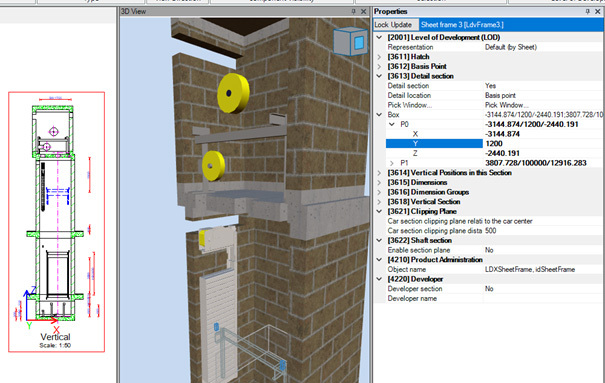 DigiPara Liftdesigner gives you the opportunity to display your 2D drawing as 3D model. If you want to have a section at a specific point of your 3D-model, there are two different options you can use. The shaft is open at the front wall as default. 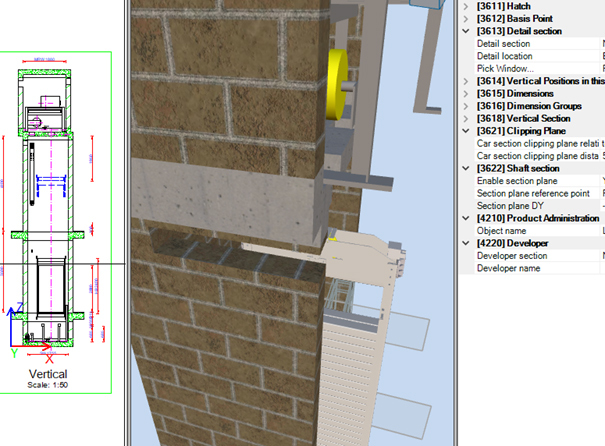 Enable the section plane of the shaft and set the value to -1200. 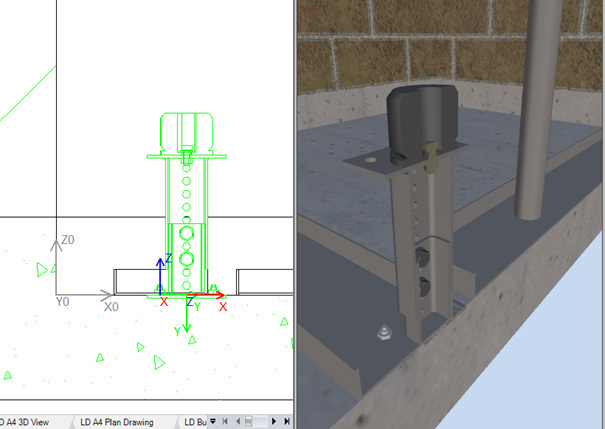 That works for the shaft, but unfortunately not for the components; not for the simplified parts and also not for the loaded CAD models.If you need a real section “Enable section plane” does not deliver the sufficient result. “Enable section Plane” option has to be disabled. Choose the box detail section “Group ” In this case usually P0.Y and P1.Y are the positive and negative maxima of the box. By changing the value, you can influence the section as desired.